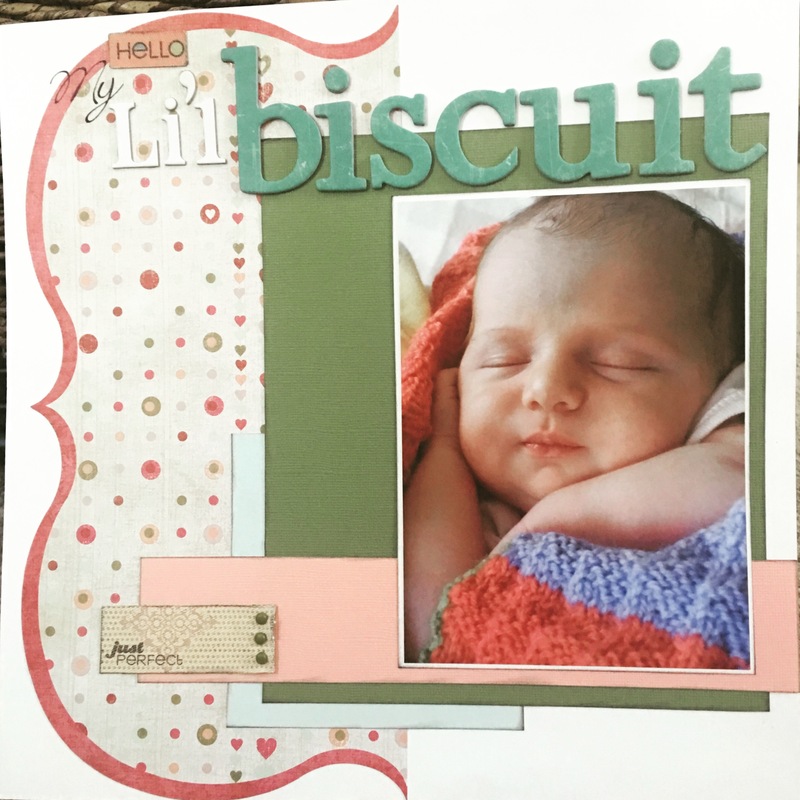 One of my favorite scrapbook pages I created. I know I scraplifted the design from somewhere but apologize I don’t exactly remember where (likely one of the old magazines). What could be more perfect than a sleeping baby? This page just makes me want to sigh! Just a note: layering paper is a great (and frugal!) way to finish a quick 30 minute page while still adding lots of dimension and pizaaz. This entry was posted in Canvas, chipboard, Crafting, ink, Scrapbooking, Writing and tagged brads, cardstock, patterned paper, rub-ons, stickers.